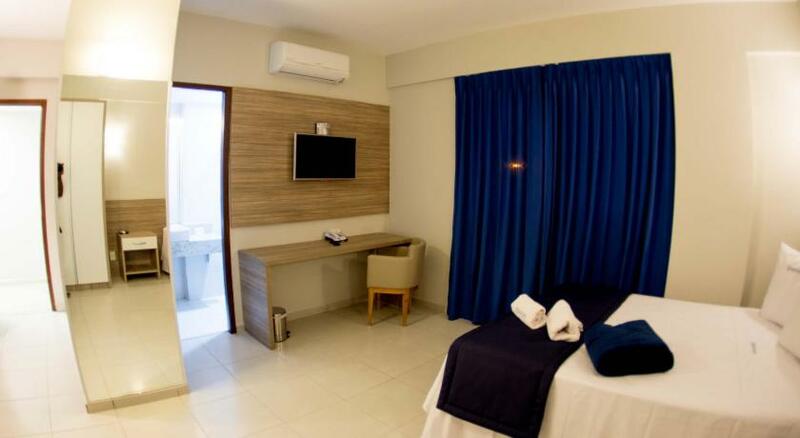 Blue Inn Residence is situated in the Recreio dos Bandeirantes district in Rio de Janeiro, 450 metres from Recreio Beach. Free WiFi is available throughout the property and free private parking is available on site upon availability. Every room at this hotel is air conditioned and comes with a flat-screen TV, minibar, microwave and kitchenware. Each room has a private bathroom fitted with a shower. Barra Olympic Park is 13 km from Blue Inn Residence, while Barra da Tijuca Beach is 12 km away. The nearest airport is Rio de Janeiro/Galeao International Airport, 34 km from Blue Inn Residence.